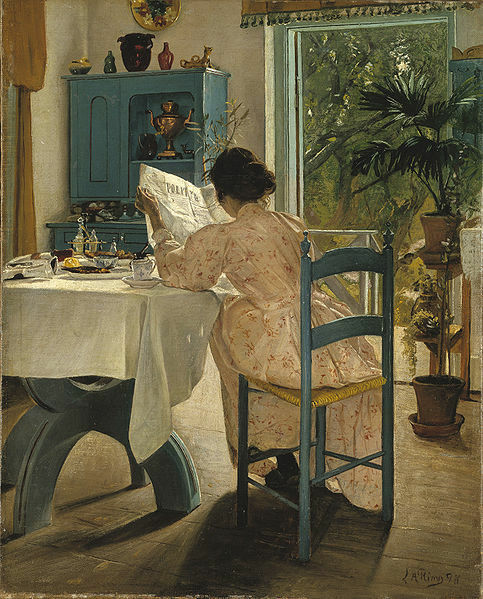 In the modern era, examples of amateur needlework created by women and girls of the past have often been regarded as sweetly decorative, and no more. The notion of dainty feminine hands bent over a sampler is a romantic one that's hard to shake: tiny precise stitches simultaneously represented not only industry, but also the luxurious spare time to sit and embroider with costly materials. While there is certainly an element of truth to this, the admiration can also be tinged with condescension. Boys went out into the world and did important things. Girls sat sequestered indoors and stitched pretty pictures. Lately, however, material culture scholars have begun to study samplers and other embroidery from a different perspective. A new exhibition at Winterthur Museum called Embroidery: The Thread of History (now through January 6, 2019) considers these embroidered pieces as historical documents that described not only the workers themselves, but their families, friends, and the world in which they lived. As the catalogue notes, "Women are often poorly represented in traditional archival sources, but their needlework can provide crucial evidence of lives that would otherwise remain unknown." 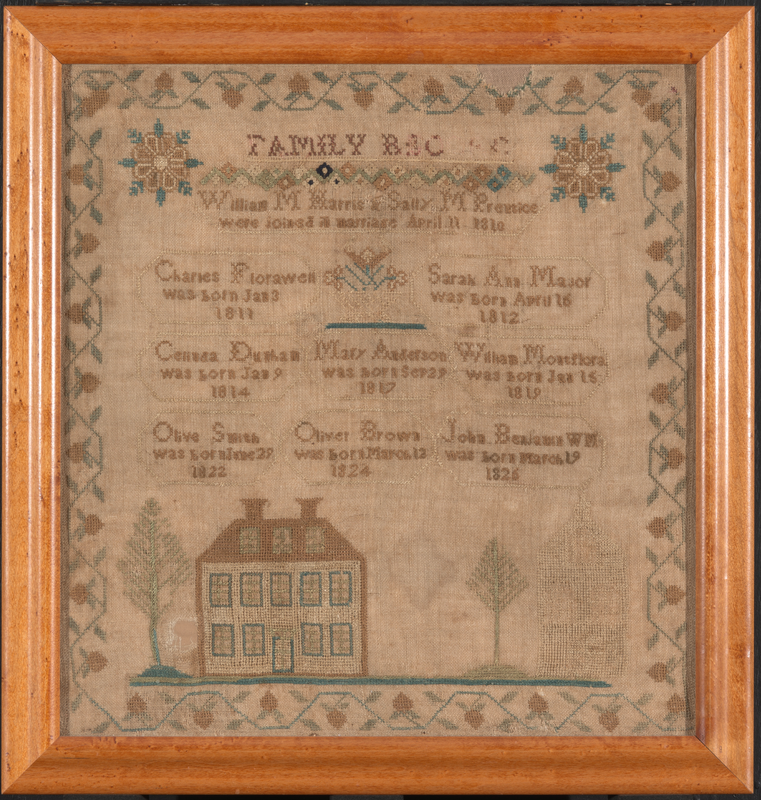 Eighteenth and early nineteenth century samplers that listed the maker's hometown and her birth date as well as the dates for other family members were regarded as important family documents. They held the same importance and legitimacy as the handwritten pages in the front of family Bibles, and in an era when many families were moving to new regions, a sampler could be more lasting and more portable than a Bible page, too. Samplers noting marriages and births were even accepted as evidence in the military pension applications presented by widows of Revolutionary War veterans. Through their needlework, women and girls could evoke a familiar place or culture left behind through emigration, or display civic pride by showing a new local town building or church. They could document the family's trade or wealth, documenting ships, farmlands, and homes. They could memorialize and honor the dead, whether a family member or a national figure like George Washington. "This sampler documents an extraordinary family and foreshadows the legal fight for equal rights for African Americans. 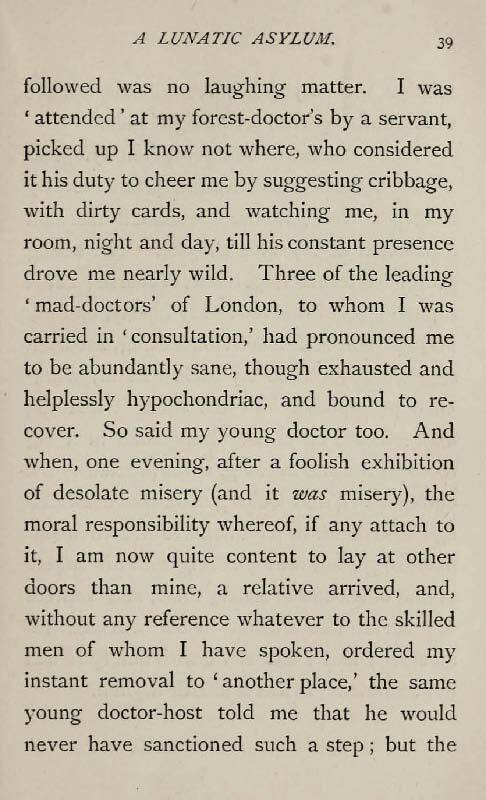 Seeking to further education in order to become a teacher, Sarah Ann Major Harris (1812-1878) , asked Prudence Crandall if she could become a day student at her school in Canterbury, Connecticut, in 1832. Crandall agreed and, in protest, many parents withdrew their daughters from the school. Crandall then recruited other young black female pupils, many of whom were from out of state. As a result, the state of Connecticut adopted what became known as the Black Law, which prohibited the teaching of 'Colored persons who are not inhabitants of this state.' The arguments developed by Crandall's defense attorneys were used later in the case of Dred Scott vs. Sanford (1857) and were echoed in Lincoln's Emancipation Proclamation. "Sarah Harris continued to be active in the abolitionist movement throughout her life. She married another activist, George Fayerweather, and today their home in Kingston, Rhode Island, is listed on the National Register of Historic Places. Sarah was clearly well educated, having worked this sampler before attending Crandall's school." 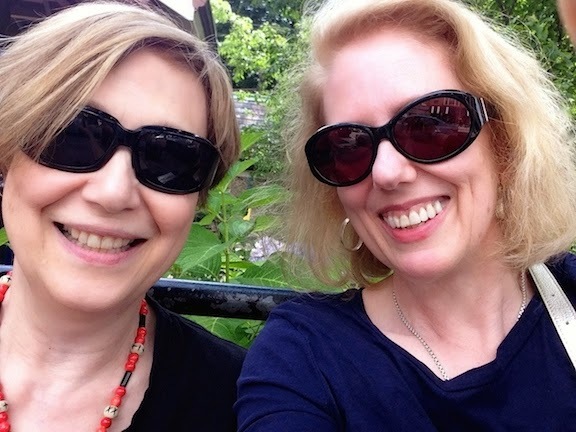 Many thanks to Linda Eaton, Director of Museum Collections and Senior Curator of Textiles, Winterthur Museum, for her assistance with this post. 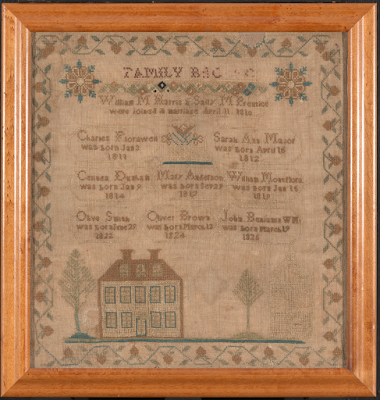 Above: Sampler, worked by Sarah Ann Major Harris, possibly at a school in Saybrook, CT, 1822-28. Winterthur Museum. • Madhouse genetics: what the archives of mental-health asylums reveal about the history of human heredity and he evolution of genetics. 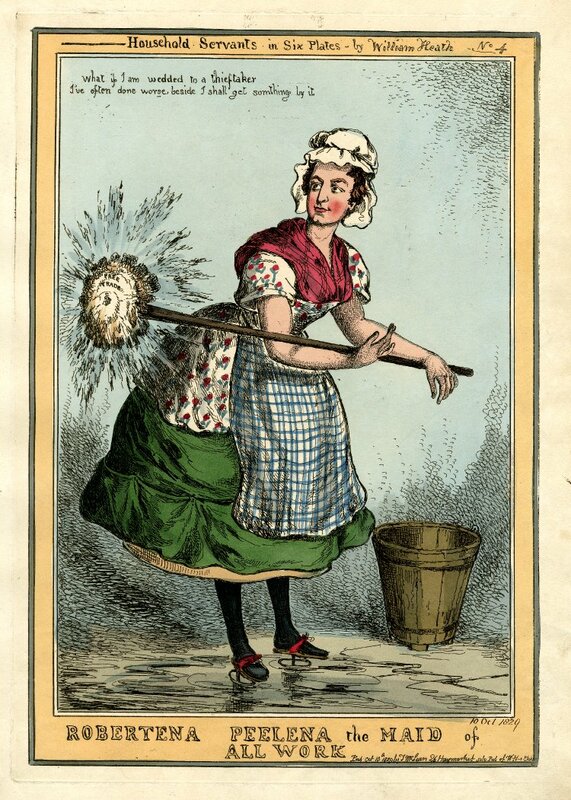 • A very fancy 18thc tradecard for a less-than-fancy trade: a nightman is a disposer of human waste. • Photo sleuths: How an American Civil War soldier's photograph with distinctive markings reveals the forgotten, invaluable work of the Dead Letter Office. • Divining Mother Shipton, the 15thc Witch of York: propaganda and prophecy. • Image: The wig of Princess Nany, with locks set with beeswax and a wreathe of lotus leaves, c1000BC. • Frivolous spending, private parties, and grumpy governesses: the secret lives of the servants at Chatsworth, the country seat of the Dukes of Devonshire. 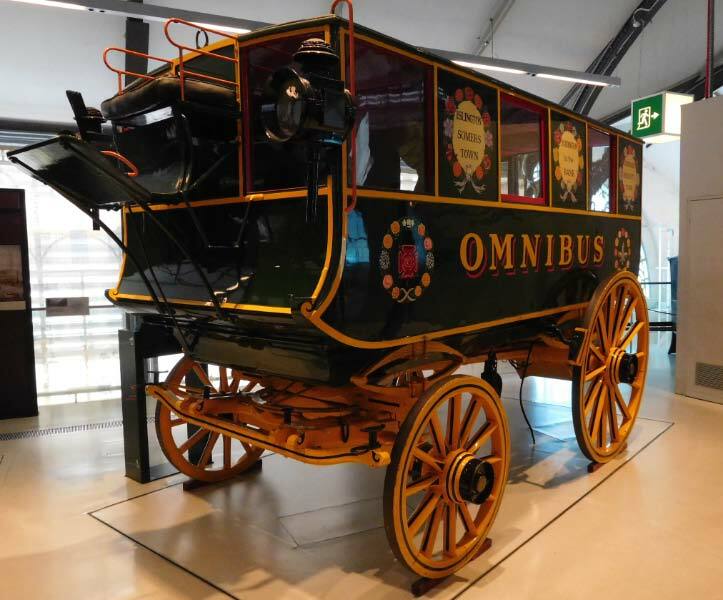 • The mighty effects of spiritous liquor displayed; or, 18thc cider was a temperance drink. • Image: Dandy! Painter George Harvey looking dashing in his patterned dressing gown over waistcoat and trousers, c1840s, plus a similar surviving dressing gown. • Beautiful and haunting photographs: tales from the valley that time forgot. • The great big pumpkin fight: a late 19thc symbol of the growing divide between rural and urban American life. • Victorian mourning jewels and how they were worn. • Too many apples? Follow this 18thc recipe to make a marmalet of pippins. • Image: Two child-sized armchairs with petit-point covers worked by Alice B. Tolkas from designs by Pablo Picasso. • Bright 19thc embroidered braces: worked by wives, daughters, and sweethearts to help keep men's trousers in place. • Where to find remnants of the glorious old Penn Station in New York City. • An A-Z of Victorian novel deaths. • Historic hauntings from Hampton Court palace. • Saved by a giant turtle? A roadside marker program in the state of New York embraces the grey area between official history and local lore. Due to some technical difficulties - looking at you, Comcast - our Friday Video is appearing for Saturday instead this week. Here's another short video from our friends at CrowsEye Productions. Active during both the First and Second World Wars, the Women's Land Army was a British civilian organization created to fill agriculture jobs with women workers and therefore free more men for military service. While this video does show the kind of uniforms worn by the women in the 1940s, it also gives a glimpse of their lives as country laborers - a life that was likely new to many of the women who were from cities. Don't miss the hand-knitted sweaters and socks, plus some wonderful vintage tractors. 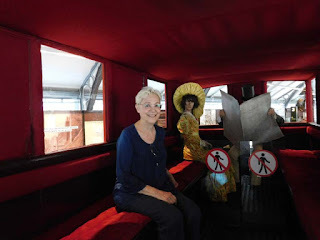 Many thanks to costumer, historian, and producer Pauline Loven for continuing the share these videos with us. From our stats, it's clear you enjoy them as much as we do! If you received this video via email, you may be seeing an empty space or black box where the video should be. Click here to view the video. 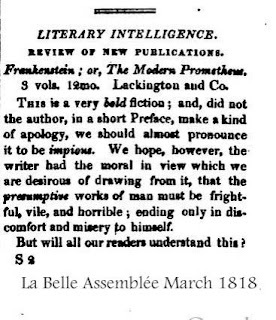 Mary Shelley’s reviewers had extremely different reactions to Frankenstein. “Our readers will guess from this summary, what a tissue of horrible and disgusting absurdity this work presents ... 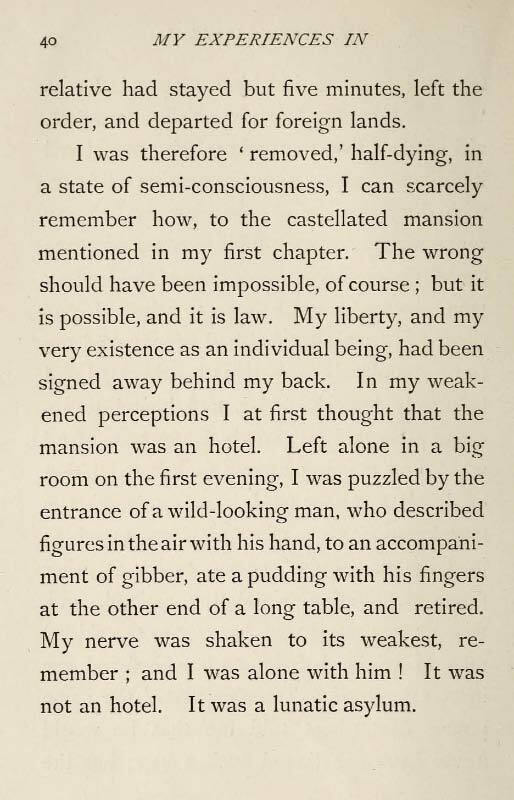 The dreams of insanity are embodied in the strong and striking language of the insane, and the author, notwithstanding the rationality of his preface, often leaves us in doubt whether he is not as mad as his hero." “... we take the liberty of assuring [the author] ... that the style which he has adopted in the present publication merely tends to defeat his own purpose, if he really had any other object in view than that of leaving the wearied reader, after a struggle between laughter and loathing, in doubt whether the head or the heart of the author be the most diseased." —Quarterly Review 18 (January [delayed until 12 June] 1818): 379-385. 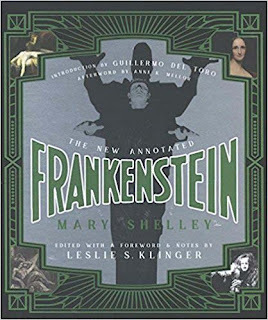 From the Mary Shelley Chronology and Resource Site, Scholarly Resources, Romantic Circles. Upon the whole, the work impresses us with a high idea of the author's original genius and happy power of expression ... 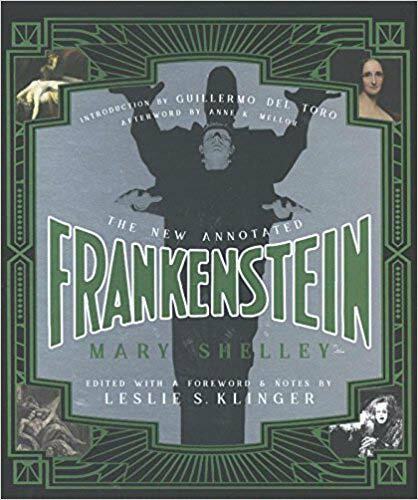 If Gray's definition of Paradise, to lie on a couch, namely, and read new novels, come any thing near truth, no small praise is due to him, who, like the author of Frankenstein, has enlarged the sphere of that fascinating enjoyment." His whole review is well worth reading, as are others. You can read them here at the Romantic Circles website. Clicking on the image will enlarge it. Clicking on a caption link will take you to the source, where you can learn more and enlarge images as needed. And just so you know, if you order a book through one of my posts, I might get a small share of the sale. • Rediscovering the black muses erased from art history. 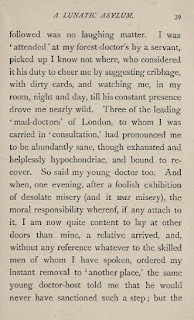 • A Victorian guide to Cambridge student life. • Mark Twain liked cats better than people. • Star-spangled Pierrot and Pierrette costumes from the 1920s. • How the Romantic poets idolized 18thc Polish freedom-fighter (and veteran of the American Revolution) Tadeusz Kosciuszko. • Image: Lord Byron's carnival mask. • The treatment of children in the Garlands Lunatic Asylum, 1862-1914. • A medieval book that opens six different ways, revealing six different books in one. • The 19thc British cavalry horse. • Coach clocks, for telling time on long journeys. • Image: Macabre c1815 silver skull opens up to reveal 17thc watch. • What happens when humans fall in love with an invasive species. • Land of the Livingstons: historic houses along the Hudson River. • Maureen Rose, buttonmaker, in a Fitzrovia shop that's in the house where Charles Dickens grew up. • The royal babies of King George III and Queen Charlotte. 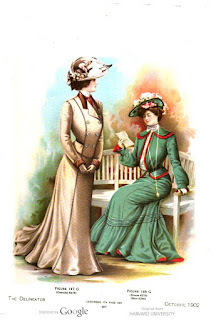 When it comes to 19th and early 20th century fashion, as our readers are aware, it’s not all that easy to get a sense of what clothes looked like on real people. 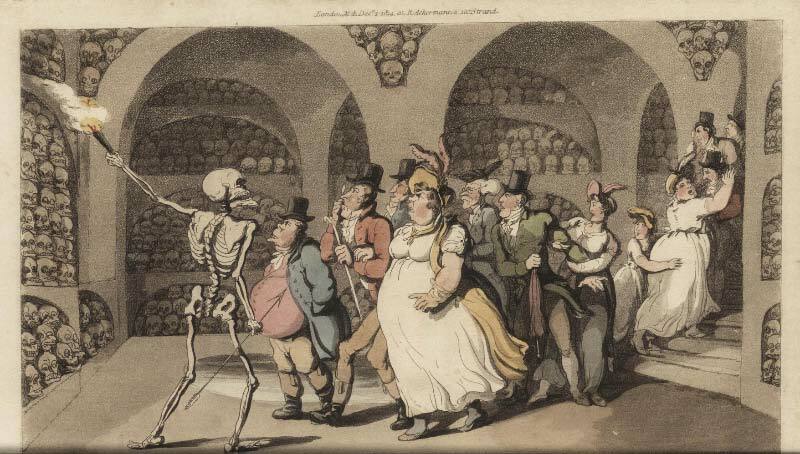 Fashion plates offer a simplistic idea of color but tend to be anatomically inaccurate (if not downright bizarre) and flat. Paintings show us color, texture, accessories, and so on, but they tend to be idealized, a sort of Photoshop version of the real person. Photography, once it gets going in the Victorian era, offers a degree of realism (they did doctor photos), but in black and white. Museums show us the actual clothing, but on mannequins often lacking accessories (and very often, underwear). This video, featuring colorized Victorian and Edwardian photos, helps us get a real sense of real women in a range of clothing. Some of you will recognize at least a few of the women. 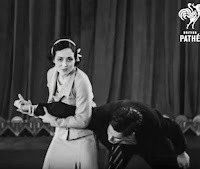 Image is a still from the video. So Who Wore Round-Ring Pattens in the 18th Century? I wrote earlier this week here about the wavy-ring 18thc pattens - a kind of overshoe with a wooden sole and a metal ring intended to raise the wearer's shoes above wet or otherwise unpleasant terrain - that were being recreated and worn as part of the Historic Trades program at Colonial Williamsburg. In the course of my discussion about the pattens with apprentice tinsmith Jenny Linn and journeywoman blacksmith Aislinn Lewis (both of whom were involved in the creation, wearing, and research of the replica pattens), we also spoke of a slightly different kind of 18thc pattens. Although the wooden sole and leather straps and laces are much the same, these pattens feature a round metal ring as a support. While the wavy-ring pattens offer plenty of surface area and almost resemble the treads of modern winter boots, the narrower base of the round-ring style would be much more precarious for both balance and walking. This, however, may be because they weren't intended for walking. Jenny and Aislinn suggested that this type of pattens served an entirely different purpose. In 18thc prints, the round-ring style is usually shown worn by housemaids indoors, and often with a a bucket and mop nearby. Examples include Piety in pattens, or, Timbertoe on tiptoe, upper left, with a tall maidservant made even taller by very high round-ring pattens. In How are you off for soap, middle right, the ring-bottom pattens are worn by a laundress, whose work would also include splashing soapy water. From these sources, it appears that the the round-ring style was worn primarily indoors rather than out, to raise the wearer above soapy water spilled on a wet floor. They may also have served to protect a clean, wet floor from dirty shoes, rather than protecting the shoes from the water. Unfortunately there doesn't seem to be any primary source documentation in the form of letters or journals to explain this further. If anyone has come across such research, I hope you'll share it. Many thanks to Jenny Lynn and Aislinn Lewis for their assistance with this post. Upper left: Pattens, leather, wood, & iron rings, c1780-1800, Victoria & Albert Museum. Upper right: Piety in pattens, or Timbertoe on tiptoe, published by M. Darly, 1773. Walpole Library, Yale University. 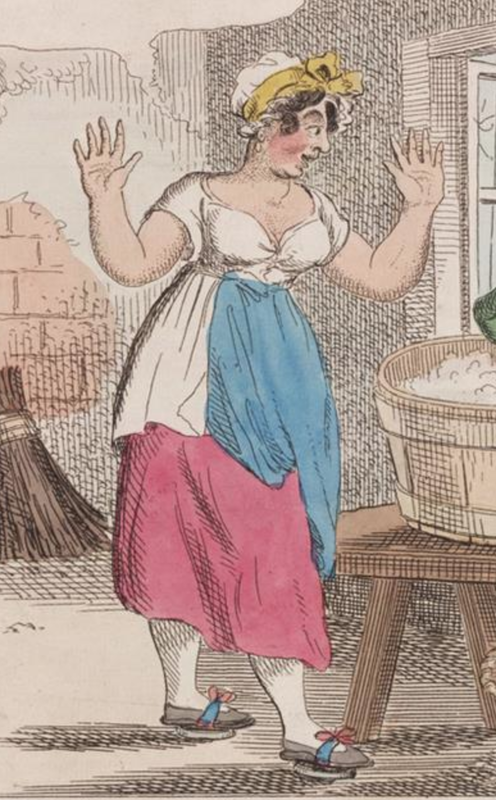 Middle left: Detail, How are you off for soap, published by William Elmes, 1816. Walpole Library, Yale University. Lower right: Roberteena Peelena, the maid of all work by William Heath, 1829, British Museum. 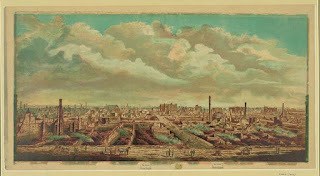 Lower left: Detail, A City Shower by Edward Penny, 1764, Museum of London. Writing about the past is an ever-changing (and ever-exciting) challenge, and research is one of my absolute favorite parts of the process. I'm always eager to read or hear of new discoveries or fresh perspectives on old ideas, and I never know what may inspire a new character or plot twist. All of which has brought me back to pattens, a kind of 18thc under-shoe raised up on a metal ring. I've already written a post about them here on the blog. But while on a recent visit with some of my friends in the Historic Trades program in Colonial Williamsburg, I've come to realize that the subject of pattens is much more complicated. Fragments of c1770s pattens with a wave-like base, or ring, were discovered in several archaeological digs in Williamsburg, Virginia, and inspired a project at Colonial Williamsburg to recreate them. 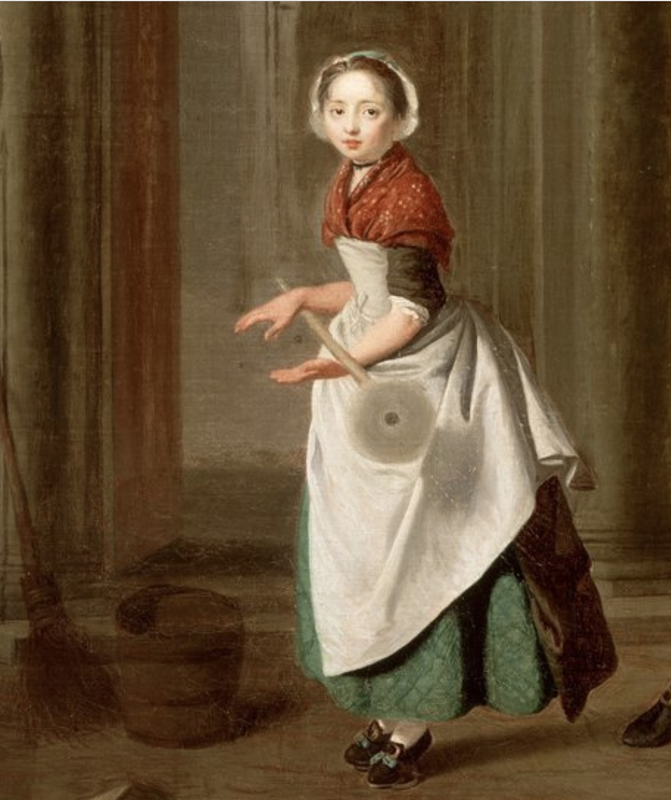 While pattens would have been the specialized work of a professional patten-maker in 18thc England, in 21stc Colonial Williamsburg they required the skills of several different tradespeople. Aislinn Lewis, journeywoman blacksmith, made the wavy rings and hardware that held the ring and straps to the sole, and completed the final assembly. Jay Howlett, journeyman artificer and leatherworker, made the leather straps and leather laces. Paul Zelesnikar, journeyman wheelwright, carved the wooden soles from ash. Jenny Lynn, apprentice tinsmith, has worn the finished pattens as part of CW programming. All of them contributed historical research and construction suggestions. While the fragments were clearly worn in colonial Virginia, no documentation has yet been found to prove that pattens were being made or even sold in the colony at that time. 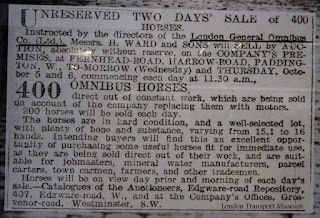 It's probable that the pattens were imported from England, and possibly considered such mundane objects that they weren't listed for sale in newspaper advertisements. The replica pattens are based not only on the fragments, but also on other, more complete examples that survive in other museum collections. Pattens were inexpensive, workaday footwear that likely didn't have a long life. The flat wooden soles were carved to fit beneath the wearer's shoes, and were held in place by a leather strap that tied across the instep. The metal ring raised the wearer about an inch above the muck of 18thc life, protecting her shoes. But as Jenny Lynn actually wore the pattens, she discovered a number of things that scholars hadn't realized. First of all, walking in pattens is an acquired skill. Jenny likens it to walking in high-heeled mules. Because there's no back-strap, the wearer's weight must push forward onto the ball of the foot, or she'll walk right out of the soles. 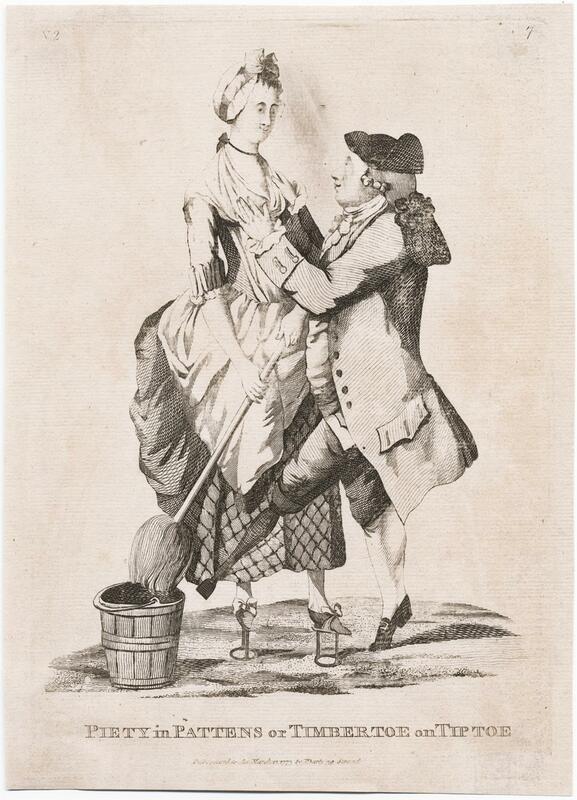 An 18thc woman who wore pattens regularly would have been familiar with how best to walk in them, but a certain amount of shuffling must have been unavoidable. While the assumption has always been that pattens were worn on the notoriously unclean 18thc city streets, Jenny found that this kind of patten would be almost impossible to wear on cobblestone streets, where the rings would slip and tip and lead to sprained ankles and falls. They seem much better suited to the softer surfaces of a more rural life, like an unpaved path or street. Jenny found they work particularly well in mud or wet grass, though if worn by a wealthier woman than a lowly apprentice (sorry, Jenny), the pattens also probably served for making a short journey from a house to a waiting carriage. The photos here show Jenny (in the blue petticoat) and Aislinn (in the red petticoat) holding the various components to the pattens, as well as close-ups of the soles and rings, and the pattens both on and off the foot. Perhaps my favorite photo is lower right, with the distinctive marks left by the patten-rings mingling with the modern sneaker-treads of CW visitors. The video, below, shows Jenny walking in them. Many thanks to Jenny Lynn and Aislinn Lewis for their assistance with this post! All photographs ©2018 by Susan Holloway Scott. • Enormous farm animals: the history behind an "absolute unit." 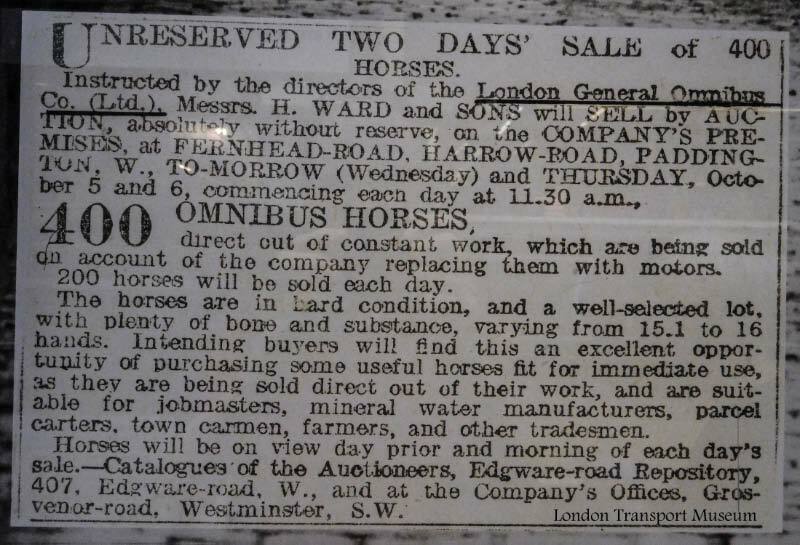 • Williams & Sowerby, silk mercers of Oxford Street who produced tissue de verre, or "glass cloth. More about tissue de verre here. • Ectoplasm and Helen Duncan, the last British woman tried for witchcraft - in 1944. • "I have heard some of the Democratic rejoicing": Abigail Adams' last letter to husband John, 1801. • Image: Know Your Pugs, from Strand Magazine, 1892. • An 1820s shooting coat, worn for hare-coursing. • Dozens of costume history books to read on line via The Getty. • Image: Gorgeous diamond and emerald parure designed by Prince Albert for Queen Victoria. • A 12thc relic meets 21stc technology. • Frances Gabe and her amazing self-cleaning house. • In the 1870s, a radical journalist and a photographer documented London street life with these images. • Late 19thc silk Chinese woman's surcoat features flying cranes against mountains and clouds. • Image: Unusual Georgian mourning brooch c1780 with hairwork tomb, weeping willow, and urn. • Every Marine carries the flag: a brief history of the US Marine Corps flag. • Little ladies: Victorian fashion dolls and the feminine ideal. • The twenty-five most famous residents of New York City's cemeteries. Our friends at Crow's Eye Productions have ventured into the 20thc for this video. Featured in this video are the nurses who served in the Voluntary Aid Detachment (VAD) run by the British Red Cross Society during World War One. The VAD was a voluntary unit of civilians who provided nursing care to British military personnel; the majority of the volunteers were women and girls from the middle and upper classes who wished to contribute to the war effort. While most of these volunteers (over 60,000 by 1918) lacked the medical training of professional nurses, by the war's end many had proven that they were not mere "society ladies." They served bravely and competently not only in auxiliary hospitals at home and in the field, but as ambulance drivers and cooks as well. The accomplishments of the VAD are especially impressive in light of their uniforms - no easy-care scrubs here! This video shows the staggering amount of clothing that these women were expected to wear as they performed their duties. In time the war would mark a dramatic shift in the role of modern women and how they dressed, but these uniforms clearly belong more to the Edwardian era than to the 1920s flappers. An additional note: the video was filmed on location at Stanhope Hall, Horncastle, the site of a former VAD Hospital. Many thanks to producer and costumer Pauline Loven for sharing this video with us! If you receive this post via email, you may be seeing an empty space or black box where the video should be. Please click here to view the video. 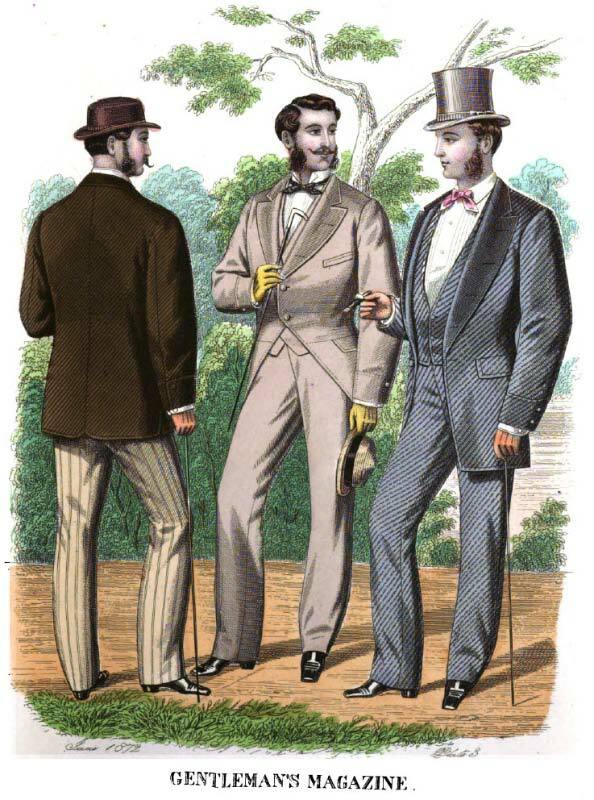 The author of this 1876 guide to men’s dress did not mince words when it came to false shirt fronts. One can only imagine what he'd have to say about, oh, man buns or low-hanging trousers. BEAU BRUMMEL said, “A gentleman should show clean linen, and plenty of it.” The first part of this sentence is strictly true, the second less so. There is no need, having a clean shirt on, to publish the fact, or to lead the public to infer you wear it as a disguise by undue exhibition of it. 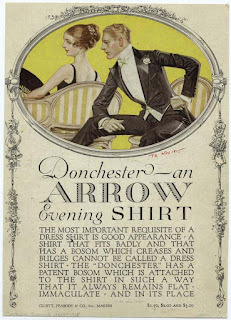 “Virtue is its own reward :” so the assumption of clean underclothing generally, even if its light be kept beneath a bushel, should afford the wearer the same pleasure as if ostentatiously paraded. When I see a man placarding his chest with a wide expanse of lawn, and exhibiting an unnecessary amount of cuffs, I infer he has got on neither a clean nor white shirt. The surmise generally proves correct. 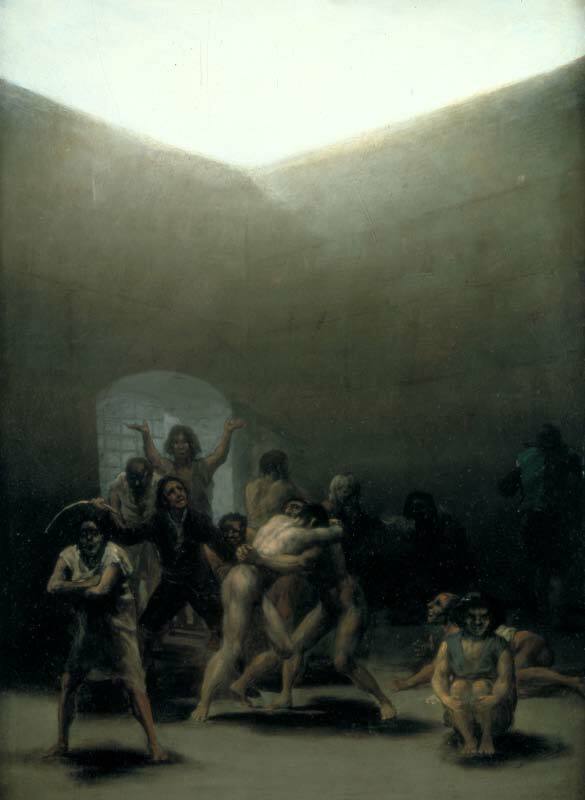 Many say, however, when this charge is brought against them, that they suffer from neuralgia, lumbago, and tic-douloureux and ... various other ailments ... Well, what excuse is this? I do not prohibit flannel —wear an under flannel shirt—two if you like; but you must cover it with an entire white shirt, not an aliquot part of it. If hypocrisy be the homage which vice pays to virtue, then the assumption of dickey is a sneaking admission of the necessity for showing clean linen, and a discreditable way of making a sham composition with the subject. The Lounger's disapproval did not lead to the rapid extinction of the dickey. On the contrary, it lived on into the 20th century, and it isn't dead yet. Images: August 1873 Men’s Fashions, from the Gentleman's Magazine of Fashion, via Google Books. 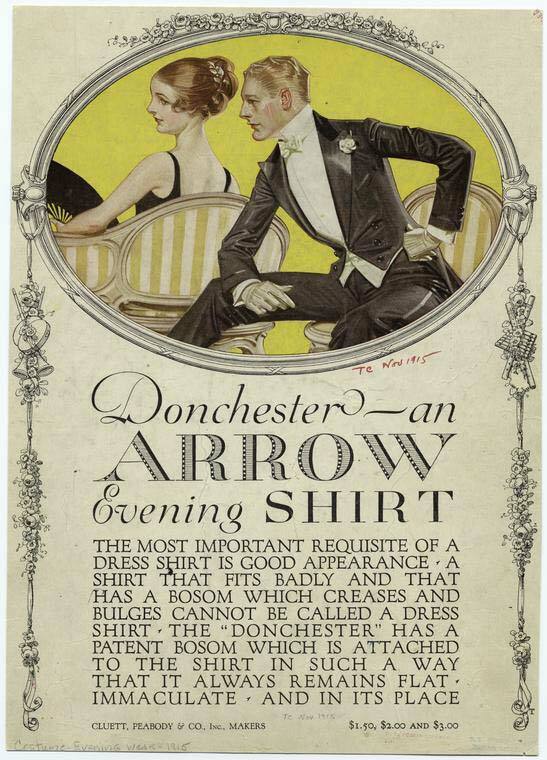 Interlined Shirt Bosoms (1912), and Arrow Donchester shirt 1915, courtesy New York Public Library. Here's another fascinating garment from the Fashion Unraveled exhibition currently at the Museum at FIT in New York through November 17, 2018 (The first I shared was this 18thc gentleman's waistcoat that was remade for a woman in the 1950s). As the Museum's notes explain, this exhibition isn't about perfectly preserved, pristine garments. Instead, it "highlights the aberrant beauty in flawed objects, giving precedence to garments that have been altered, left unfinished, or deconstructed." As a fiction writer, I'd add one more to that list: garments that survive in such an interesting state that they beg to tell their story. This white bustle gown from the 1880s is instantly intriguing. Even an untrained eye would see that there's something not quite right about it. Instead of the usual crisp, almost architectural lines characteristic of fashion of the period, this gown seems almost droopy. There's a reason for this, of course: it was never finished. The brown silk taffeta trim is only basted into place (the long white running stitches are quite visible), the raw-edged trim is still tentatively arranged in some places, and the gathers that arrange the bustle and overskirt are decidedly lopsided. The cream-colored wool was never steamed and pressed, leaving the seams soft and bulky, almost rumpled. 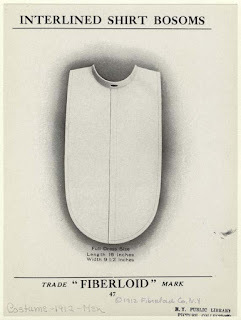 And yet this was clearly going to be a stylish gown, and likely a costly one, too. Even if a customer changed her mind in the middle of the process, why wasn't it remodeled to fit another wearer? Why wasn't all that brown taffeta and raw-edge, fringed trim removed to use in another way? Why was it simply abandoned in this tantalizing state? No one today has the answers. But it could certainly inspire a wealth of fictional explanations, couldn't it? Dress, c1880, USA. Museum at FIT. Nearly every major city in the world has endured a catastrophic fire. Some happen during wartime, sometimes it's arson, but in the majority of cases, an act of nature or an accident sets things off. 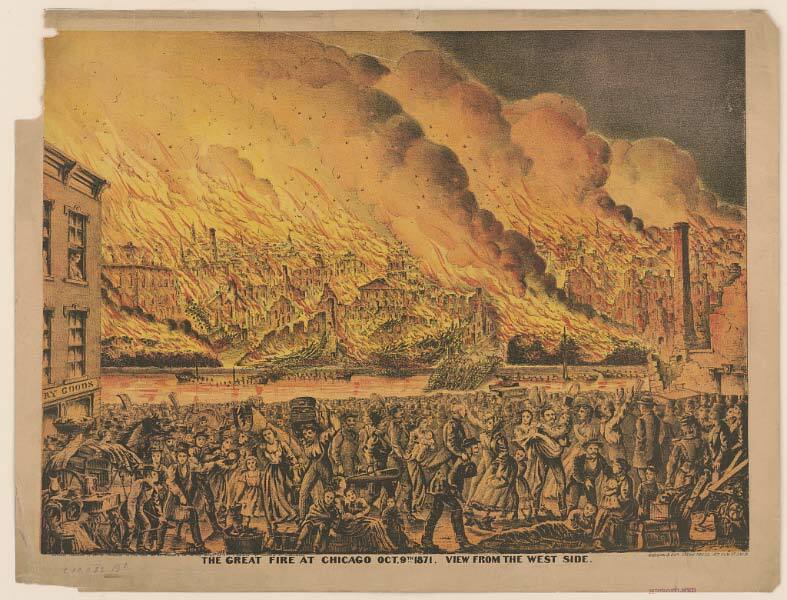 Two of the most well-known U.S. fires are those in Chicago (1871) and San Francisco (1906), the latter resulting from earthquake damage. The former supposedly started when Mrs. O’Leary’s cow kicked over an oil lamp in the barn, but that’s only one of several versions of what happened. 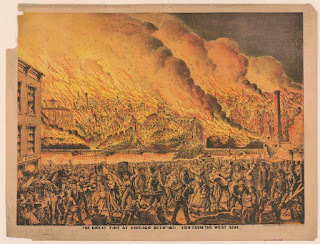 An article in the Library of Congress’s Today in History (please scroll down) taught me something I didn’t know: On the same day as the Chicago blaze, large parts of Michigan and Wisconsin, including several cities, burnt to the ground. The fires left at least 1,200 people—possibly twice that number—dead. The summer and early autumn had been unusually dry and October was unusually warm. Fierce winds spread the fires far and quickly. In other words, the Midwest was a tinderbox in October 1871. 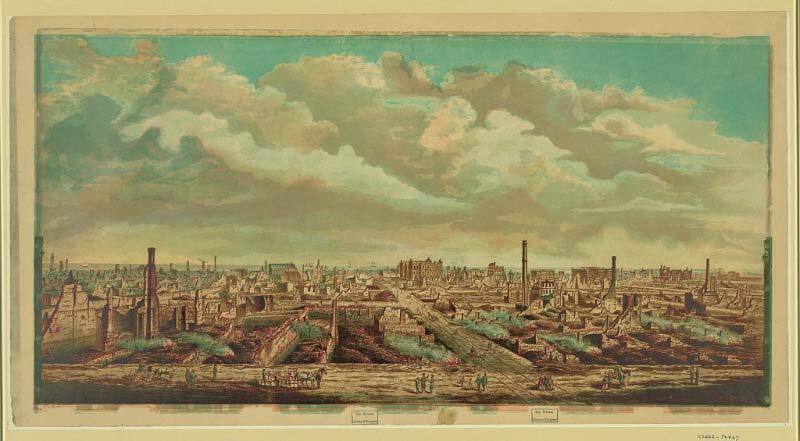 Chicago, like London at the time of the Great Fire a couple of centuries earlier, was built mostly of wood. So were other cities. Regulating Mother Nature is a challenge, but given London's experience, you’d suppose cities would take precautions, establishing building codes to reduce risk, as London did back in the 1600s. But usually what happens is that only a catastrophe brings about change, and cities had to work it out for themselves. From what I can ascertain, they usually did so, establishing building codes and other regulations as well as strengthening their firefighting organizations. For some perspective on how much of the world has burned down over the centuries, you might want to take a look at Wikipedia’s List of Town and City Fires. It provides some fascinating information and food for thought. • A specialized working horse in the 19th century: the funeral horse. • What did 18thc ladies wear under a chemise a la reine? • A forgotten letter by early UK suffragette Annie Kenney is discovered. • A mourning ring for Louis XVI, created to coincide with the reinstatement of Louis XVIII, represents not only grief, but a new nationalism. • "Toss up, pitch and hustle, and any other games of chance": all were banned in 1775 by General Washington. • When the wardrobe is (intentionally) the star of the film: "Dressing a Renaissance Queen." • Image: This renowned 18th thoroughbred was named "Potoooooooos" pronounced "Pot-eight-Os". • Rediscovering Julia Rush, another unsung Founding Mother. 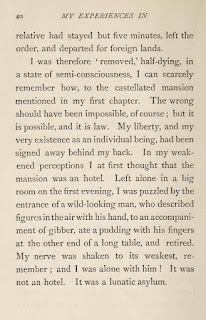 • Queen Victoria's Hindustani diary. • A magnificent embroidered evening dress, c1798-1800. • When fashion set sail: the truth about those miniature ships in 18thc French ladies' hair. • "To Order Mushromes": a transcribed recipe to try from Jane Dawson's 17thc manuscript cookbook. • Art nouveau meets baroque in Bristol. • Image: "Outbursts of Autumn: Monstrous Muffs and Startling Stoles", 1910. • Victorian advice for men on civility towards women. • Hunt is on for a lost 18thc masterpiece (last seen in the 1940s) by Angelica Kauffman, one of the greatest women artists. • How 19thc women in Edinburgh, Scotland helped enslaved Americans on the road to freedom. • A grab-bag of historical styles, yet somehow it works: the eclectic, elegant 1887 Honeywell-Roberts house in Manhattan. 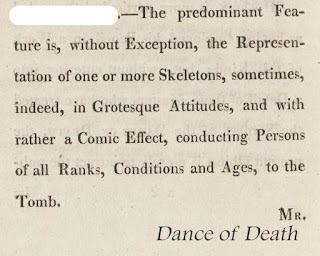 In the course of researching some 19th century self-defense materials, I learned that, even before Victorian times, women could learn self-defense techniques. It wasn’t easy, and it wasn’t exactly respectable, but it could be done. However, by the Edwardian era, women are beginning to get formal instruction in martial arts, like ju jitsu (you can learn a great deal more about this at the Bartitsu Society website). Some women, trained in these arts, provided protection for suffragists. This film is a bit later—1933—but the moves employ the same principles. The Delineator is quite a bit different from the ladies’ magazines I’ve used for earlier time periods. 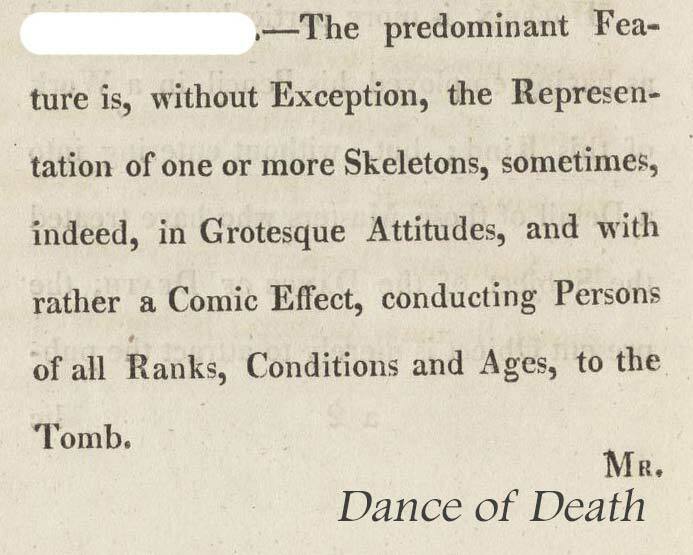 The World of Fashion, La Belle Assemblée, and other 19th century periodicals were aimed at upper class women. Those magazines described the fashions, but didn’t explain how to make them, because their audience’s clothes were made by dressmakers. The Delineator’s market is altogether different. They're selling patterns to women who make at least some of their own and their family’s clothes. 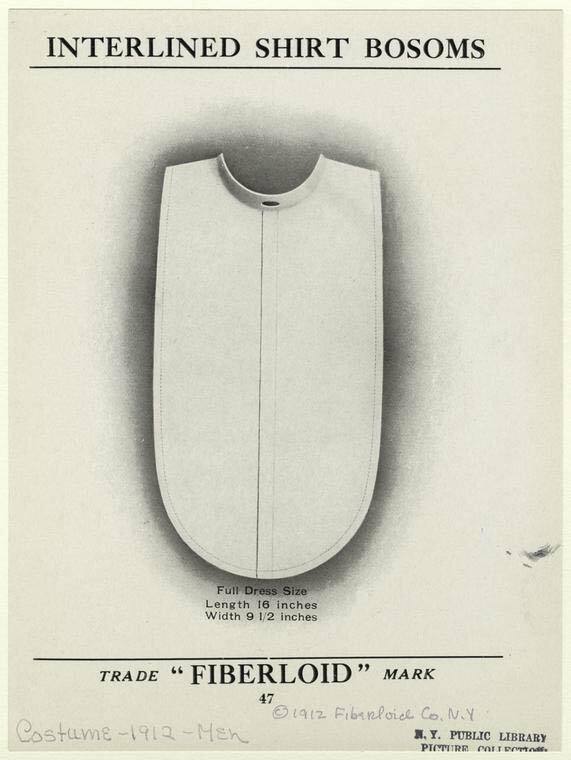 My guess is that some dressmakers (those outside the high fashion realms) might have found it useful, too, especially regarding latest trends. As a result, we get a wealth of detail about the clothes and their construction—valuable especially for writers setting stories in this time period or those simply interested in post-Victorian fashion. Like other ladies’ magazine of the 1800s, 1900s, and today, though, the Delineator offers a summary of the latest trends in the introduction to their long fashion section. You can read about what’s hot for October 1902 here. A few years later, the silhouette changed quite a bit, as I pointed out in this post. Because the descriptions are so long, I’m not going to attempt to clip them, but will instead provide links. Day Costume Description here. 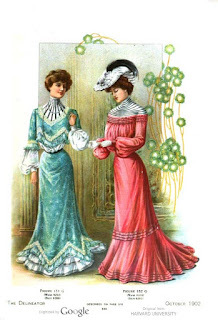 Tea gowns description here (scroll down to Figures 151G and 152G.